ISLE of Arran Distillers has celebrated its 18th anniversary by posting record sales and profits. The firm reported a 40% increase in net profits during 2012, as sales topped £3.5 million. The boost to profits was largely attributed to export sales, which increased by 20% year on year following the appointment of a number of new importers in different countries. The firm highlighted the US and Denmark as particularly strong export markets. 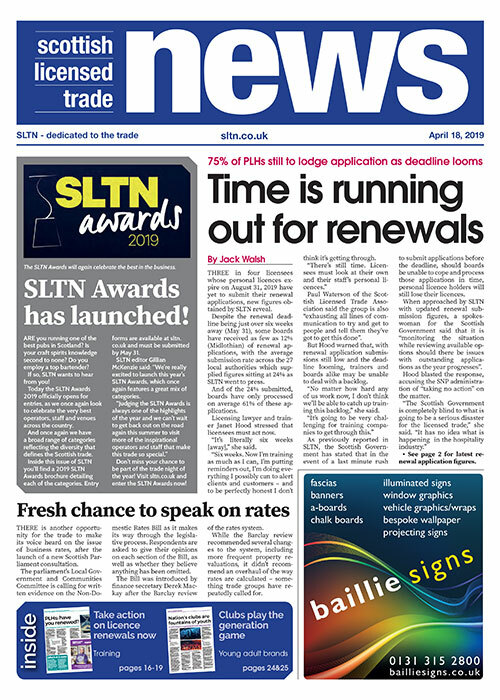 Growth was also aided by what the company described as a “surge” in demand for limited edition and premium releases such as the Devil’s Punch Bowl, a three-part series of malts, the second of which was released this month (see page 12). Isle of Arran Distillers managing director Euan Mitchell said the company is “going from strength to strength”. “We are developing a portfolio of products to match any distillery which is reflected by the growing interest for The Arran Malt around the world,” he said. Looking ahead, Mitchell said the firm is geared up for “sustained future growth”. Production is already said to have reached new heights with a capacity of 400,000 LPA (litres of pure alcohol) and a new warehouse means the business can mature 12,000 casks. “We have a strong business plan and we’re performing ahead of expectations, which is a fantastic achievement when trading conditions have been so tough, especially for premium products,” added Mitchell. 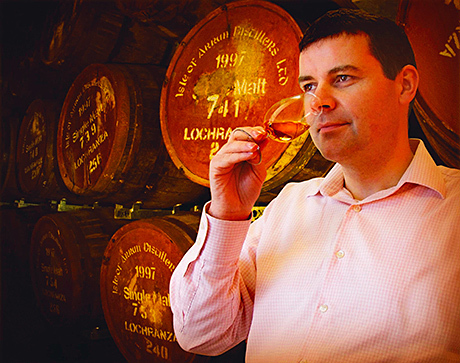 Image – Toasting success: Isle of Arran Distillers boss Euan Mitchell said the firm is in good health.